Elms University Honours - Faringdon Community Website. 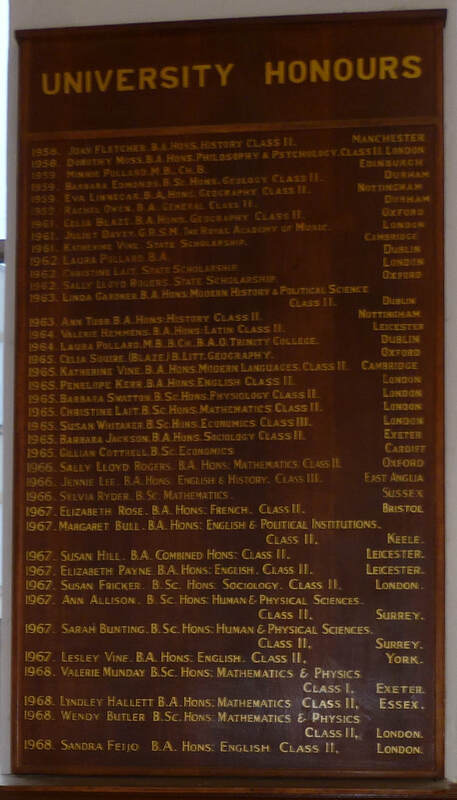 The 1950s was the last full decade in the UK where Latin was a requirement of university entrance. IN 1960 Oxford and Cambridge universities ceased to require ordinary Latin as an entry qualification for undergraduates. 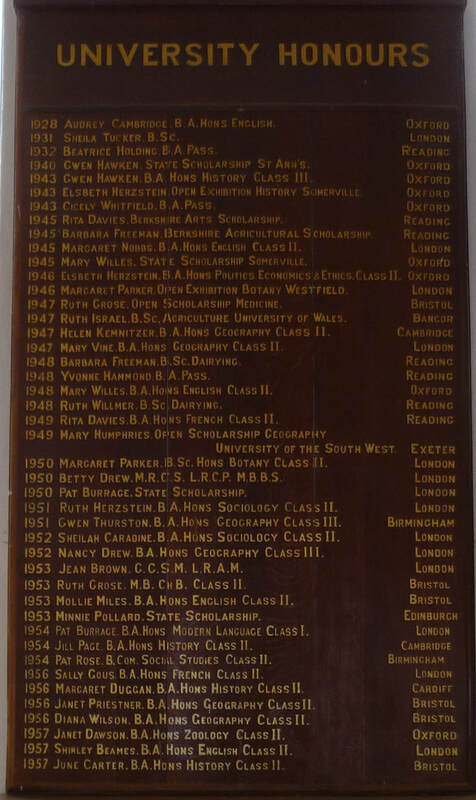 You can see for The Elms, by the mid 1960s more girls were going to University. Many girls became teachers, radiographers, physiotherapists, librarians, nurses ( and more) none of which at the time required a degree.